Most drivers know to expect fines and perhaps a suspended license if they violate certain traffic laws. But there are some lesser-known penalties that drivers only learn about when it’s time to face the music. One such penalty is being required to purchase SR-22 insurance, which can add thousands of dollars to your premiums over time. An SR-22 is a form that may be needed to reinstate your driving privileges after committing a serious traffic offense. When your driver’s license is suspended following certain traffic violations, such as driving under the influence of alcohol or being involved in too many at-fault accidents, you may be required to fulfill state-specific SR-22 requirements to get back on the road. This often involves purchasing insurance from a provider who is willing to take on a high-risk driver, which typically comes with an uptick in your monthly premiums. Typically, you will need to maintain SR-22 insurance for two to five years without a break in your coverage before the state will lift your SR-22 filing requirements. Do I Need SR-22 Car Insurance? You committed repeat offenses in a short timeframe. If an SR-22 is ordered by the court, a judge will inform you of the duration and demands of the requirement. 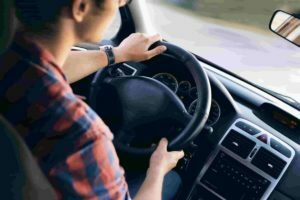 If it’s ordered by the state, you will receive a letter from your local DMV outlining the steps you will need to take to reinstate your driving privileges. Whether you were caught driving without insurance, committing traffic violations, or drunk driving, your offenses are a scarlet letter for insurers. Typically, motorists who require SR-22 insurance are classed as high-risk drivers. As a result, you should expect to pay far more for your insurance than the drivers with a clean record because the insurance company will assume that you are more likely to file a claim. Most auto insurance providers charge about $35 to cover the costs of renewing and filing your SR-22. But the real price is baked into your new premium, which will increase after your license is suspended or revoked. In fact, many providers do not want to take on the risks associated with a driver who requires SR-22 insurance and may reject your application for coverage. Fortunately, there are many auto insurance companies who provide competitive rates to high-risk motorists. Although you probably won’t get the same premiums as you did before the SR-22 requirement, you may still be able to find affordable coverage by comparing your options. Will My Premium Reduce When I No Longer Need SR-22 Insurance? While this is often the case, you can’t count on it. Your SR-22 is a blemish on your driving record and a red flag to your current and future insurers. Auto insurance companies determine your rates based on statistics, surveys, and your driving history to calculate your probability of filing a claim. Providers will look at factors such as your occupation, age, education, and more to arrive at your monthly premium. Insurers reward low-risk drivers with lower premiums. But your status as a policy pariah isn’t permanent. Drive safely and avoid accidents for the duration of your plan’s term, and you can expect your insurer to reduce your rates gradually every time you renew your policy. Keep it up and you could leave your past transgressions in the dust. What Are the SR-22 Filing Requirements? This is a tricky question to answer because every state has its own requirements for paperwork, filing fees, and more. Typically, you will be required to maintain uninterrupted insurance coverage for a period of three years. During this time, your insurer will need to complete the relevant SR-22 paperwork to update your state’s DMV on the status of your coverage. Your license may be revoked or suspended. Maintaining your policy throughout the mandated SR-22 filing period is a vital part of retaining your driving privileges. If you have no insurance, the DMV may suspend or revoke your license again, resetting your SR-22 period and forcing you to file reams of paperwork to prove you are once again insured. You may have to pay more fees. The costs of restoring your registration, reinstating your license, and purchasing a new policy will add up to a massive bill. Your vehicle registration may be suspended. You’ve spent weeks reinstating your vehicle registration, but allowing your policy to lapse is a death knell for your car’s road worthiness. You will have to visit your local DMV to restore your vehicle’s registration. Allowing your coverage to lapse is a costly mistake that could set you back hundreds of dollars and leave you languishing in the high-risk driver category for years to come. Our Geeks recommend setting up automatic payments with your provider or paying your entire premium upfront to avoid headaches and heartaches in the future. Not only will this simplify your life, but both of these options may also net you lucrative discounts, helping you bring down your increased premium. What Happens If I Don’t Drive During the SR-22 Filing Period? Skipping time behind the steering wheel to save money is a good idea. But regardless of whether you rack up the mileage or pedal your way to work, the state still needs you to serve your SR-22 sentence before this frustrating requirement is scratched from your driving record. With SR-22 forms, it’s always beneficial to purchase the relevant policy now to ensure this dark cloud disappears as quickly as possible. However, there are cost-saving benefits to driving less. Not only will this reduce your risk of being involved in an accident and committing other traffic violations, but you may also qualify for lucrative low-mileage discounts offered by many of the country’s top insurers. What Happens to SR-22 Insurance If I Move to a New State? An SR-22 form is part of your official driving record until you’ve met state-specific requirements for the prescribed duration. But what happens if you were strapped with these requirements in one state and moved to another? Or moved to a state that does not require SR-22 insurance? Unfortunately, you cannot escape this inconvenient responsibility. When you purchase a policy, the DMV in your new state still has access to your complete driving history and can see that you are currently required to carry SR-22 insurance. In most cases, you will have to maintain an out-of-state SR-22 policy with a nationwide auto insurance company. If you let your insurance lapse, you could be penalized with increased premiums and lose your driver’s license. Our Geeks recommend contacting your provider before you move to find out what steps to take to avoid compromising your situation. Can I Change Auto Insurance Companies When I Have SR-22 Insurance? Certainly! If you are shopping around and find an auto insurance company offering lower rates for similar coverage, you are allowed to switch over to the new provider. The DMV will only penalize you if you allow your coverage to lapse during the SR-22 period. You should make sure your new provider is aware of all your SR-22 requirements and has filed the relevant paperwork to update the department on your insurance status. Do I Need SR-22 Insurance for Every Car I Own? Yes and no. The DMV wants to see that you have proper liability coverage, and that includes SR-22 insurance. However, in most cases, once you have fulfilled this requirement for one vehicle, you can insure your other cars or motorcycles with insurers that do not offer SR-22 insurance. Be warned: This won’t necessarily lower your premiums as these rates are calculated based on your driving record, which includes information about the violations that led to your SR-22 requirement in the first place. Pro Tip: You can often score a big discount if you insure all your vehicles as part of a multi-vehicle policy with a single provider. You may also benefit from bundling your SR-22 insurance as part of an umbrella package that includes your house insurance and life insurance policies. How Does SR-22 Insurance Differ from a Basic Policy? Generally speaking, SR-22 insurance is almost identical to other policies, but it can differ in a few important ways. First, your new policy may limit who can drive your vehicle to only the drivers listed on your policy and may exclude any drivers under a certain age from using your car. Second, your insurer may slash compensation for repairs after an accident. And finally, you may not qualify for important added benefits such as accident forgiveness. How Do I Find a Licensed Company for SR-22 Insurance Near Me? While many of the country’s top insurers offer SR-22 coverage, you may benefit from purchasing a policy from a provider specializing in coverage for high-risk drivers. While finding a high-risk insurer with a low-complaint ratio is tricky, it is possible. Our Geeks recommend reading poring over the paperwork to ensure you aren’t signing up for a plan that could pack in rate hikes and fees at a later date. Use our comparison tool to find the right policy and insurer for your situation and budget. If you reside in the states of Florida or Virginia, you may have heard of FR-44 certification or insurance. These states require you to carry this type of coverage to reinstate your license following a conviction for driving under the influence of drugs or alcohol, driving after you license has been revoked or suspended for a conviction, violating traffic laws, or maiming, injuring, or killing someone while driving under the influence. Unlike SR-22 insurance, FR-44 certification requires you to purchase liability equal to more than double the state’s mandatory minimum insurance limits. As a result, you will pay a small fortune to cover the annual or monthly costs of your new policy. It’s not unusual for motorists to pay thousands of dollars every year to purchase the right coverage to qualify for an FR-44 certificate. Many are forced to take out loans to ease the financial burden of this state-specific requirement. How Can I Reduce My SR-22 Premium? Yes! SR-22 insurance is incredibly expensive, but even high-risk drivers are rewarded for shopping around for low-cost options. Providers offer a wide range of discounts based on a variety of factors such as your occupation, education, car model, annual mileage, and more. You may consider moving over to a new auto insurance company offering a better SR-22 policy. Look for insurers that offer new business transfer discounts as these companies will give you a lower rate for transferring over your existing plan from your current insurer. A safe driving discount may net you even further savings. Insurers offering this discount will monitor your driving habits using either a device installed in your car or an app on your phone, adjusting your premium based on factors such as your average speed, braking times, and more. Drive safely and you could bag yourself up to 10% off your premium.